Pay attention when walking around and you’ll notice, unfortunately, that rubbish is everywhere, cluttering up our streets, our parks, our rivers, beaches and oceans. It’s an expensive problem. According to Keep Britain Tidy, England alone spends £1 billion a year on clearing up rubbish and Scotland £75 million. But more than that, it has real impacts on us and our environment. How does rubbish affect humans? Aside from the cost of clearing up litter and the problems it causes, rubbish can impact our lives in many ways. Once in the environment, it can end up anywhere and cause any number of issues. If in the middle of the road, for example, it can cause traffic accidents or damage to vehicles and tyres. Alternatively, it can block drains and waterways, causing flooding.Research has also shown that presence of rubbish can impact our mental health and increase crime rates and vandalism. 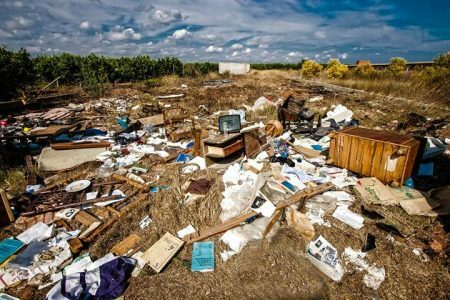 How does rubbish affect the environment? For one thing, rubbish looks messy and spoils the beauty of the natural world and can smell bad. But, worse than that, not all of it degrades. Some will stay in the environment for decades where it can leach toxins into our waterways, attract harmful bacteria, smother and kill plants or even potentially start fires. Food waste, in particular, can cause an increase in algal blooms in water, which reduces the amount of oxygen available for fish and other aquatic animals. Discarded rubbish is not being recycled, when much of it could be. Not only does recycling decrease the amount toxins released into the environment, but it also reduces the need for raw materials such as trees, which has a positive impact on the environment and deforestation. Producing products from waste also requires less energy than creating things from raw materials, so it helps to preserve natural resources and will contribute less to climate change. How does rubbish affect wildlife? Rubbish is dangerous for wildlife. 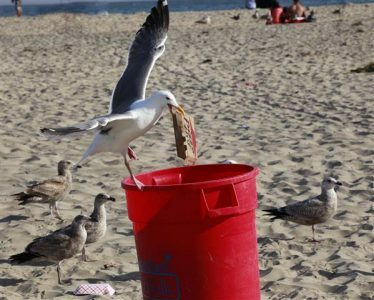 Animals can become trapped or tangled in things like plastic bags, plastic rings, elastic bands, cans or containers, which can result in suffocation and prevent animals from feeding or birds from flying properly; sharp edges can also cause injury. But also, rubbish is commonly mistaken for food and eaten. A diet of rubbish isn’t healthy and can cause choking or stop animals from getting the nutrition they need. 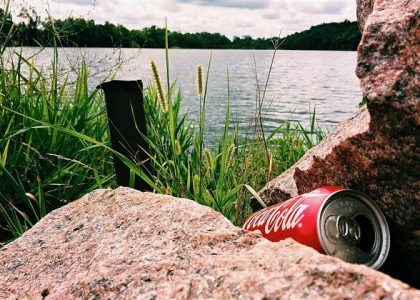 Manmade rubbish also contains toxins that work their way up the food chain. The other big issue is that discarded rubbish and food waste attracts animals and brings them into closer contact with humans. Animals, like seagulls and foxes, learn to associate humans with food and numbers in urban areas can increase. Not everyone likes having animals around though and they become seen as pests that need to be controlled. There are lots of things you can do to help the rubbish problem. Firstly, reduce the amount of waste you produce by shopping wisely, reuse everything you can, recycle as much as possible and put the rest in the bin. But also, be conscious of what you are throwing away. Tie knots in plastic bags so animals can’t crawl in and suffocate, and likewise, cut plastic rings and elastic bands and clean and squash cans or plastic containers where possible. Also, don’t participate in balloon releases or let Chinese lanterns loose as they inevitably land in the environment and become rubbish. For those who want to do more, why not participate in a litter pick or beach clean? Wildlife and the environment will surely thank you.